ArtyFartyAnnie: We have a Winner!!! My Grand Opening Giveaway ended at 11.59pm GMT on Wednesday, so as soon as I got home from work yesterday I went to Rafflecopter and clicked the button to randomly choose TWO WINNERS! Not only that, but Alicia also donated an extra pack, so that two people could win. I've been lucky enough to win one of the packs which Alicia puts together for CSI every week and I was thrilled to bits with it (I may just have to order one of these just for me - well, it would be rude not to, wouldn't it?!). 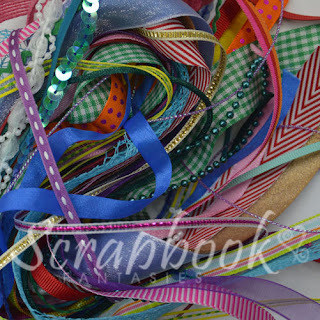 Check out the gorgeous goodies at Scrapbook Fantasies for yourself! Hiya, I would like to find a little pot of ' time' that I could open and use every time I don't have time to scrap which seems to be quite often at the mo :( .